We recently analyzed the career outcomes of scholars who participated in the NIGMS IRACDA program. A goal of this program is to provide a diverse pool of postdoctoral scholars with research and professional skills needed to be successful in academic careers. The program combines a mentored postdoctoral research experience with an opportunity to develop additional academic and teaching skills, including a teaching practicum at a partner institution that enrolls a substantial number of students from underrepresented groups. Since its inception in 1999, 25 research-intensive institutions have received IRACDA awards, which have supported more than 600 scholars. IRACDA scholars are diverse: 63% are female, and 53% identify as a race/ethnicity other than white, non-Hispanic. Approximately 73% of IRACDA alumni are in academic faculty positions at a range of institutions (see Figure 1). Among the scholars in faculty positions, 35% are at research-intensive institutions, 25% are at primarily undergraduate institutions and the remaining percent are at associate- and master’s degree-granting institutions. In addition, 25% of the IRACDA alumni in academic positions are faculty at a designated minority-serving institution. I’m very pleased to announce the selection of Rochelle Long as director of our Division of Pharmacology, Physiology, and Biological Chemistry (PPBC). Rochelle is a pharmacologist who has played leading roles in fostering research in pharmacogenomics through national and international collaborations. She established and oversees the trans-NIH Pharmacogenomics Research Network and has catalyzed associated partnerships, such as the Global Alliance for Pharmacogenomics and the Clinical Pharmacogenetics Implementation Consortium. 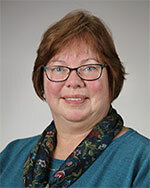 Rochelle has worked in PPBC since 1990, starting as a program director and rising to become chief of its Pharmacological and Physiological Sciences Branch in 1998. She has served as acting division director since Mike Rogers’ retirement in May 2015. Rochelle’s plans include building bridges across scientific disciplines, working to strengthen emerging fields and promoting cross-disciplinary research. These are goals across the Institute—they are reflected in our strategic plan—and they’re particularly relevant for a broad-ranging division like PPBC. Since I’ve had the opportunity to interact with her for several years, I know how skilled Rochelle is at organizing, motivating and generating cohesion among groups of people. These qualities will serve her well as PPBC director and as a member of the NIGMS senior leadership team. For more about Rochelle, see our news announcement. We’ve been examining how best to support the modernization of graduate education at the national level to ensure that trainees gain the skills, abilities and knowledge they need to be successful in the biomedical research workforce. We’re involved in a variety of efforts. For example, we and other NIH institutes and centers provided support for the development of training modules on rigor and reproducibility. We encouraged graduate programs at institutions that receive predoctoral T32 support from us to make their alumni career outcomes publicly available to prospective and current students. We’ve also offered administrative supplements to predoctoral T32 training grants to support innovative approaches in the areas of rigor and reproducibility, career outcomes and graduate education. In April, we held a symposium covering these and other topics in graduate education. Finally, we plan to write a new predoctoral T32 funding announcement. Current strengths, weaknesses and challenges in graduate biomedical education. Changes that could enhance graduate education to ensure that scientists of tomorrow have the skills, abilities and knowledge they need to advance biomedical research as efficiently and effectively as possible. Major barriers to achieving these changes and potential strategies to overcome them. Key skills that graduate students should develop in order to become outstanding biomedical scientists and the best approaches for developing those skills. Potential approaches to modernizing graduate education through the existing NIGMS institutional predoctoral training grants. Anything else you feel is important for us to consider. Responses can be submitted via an online form and can be anonymous. They can also be emailed to modernPhD@mail.nih.gov. The due date for responses is August 5, 2016. We’re recruiting a scientific review officer to manage the peer review of grant applications in a wide range of research, training, capacity-building and other NIGMS programmatic areas. We seek candidates with broad scientific backgrounds as well as expertise in one or more of these (or related) biomedical research fields: cell and molecular biology, genetics, developmental biology, pharmacology, physiology, biological chemistry and biophysics. We especially encourage applications from candidates who have demonstrated a commitment to mentoring, particularly of individuals from groups that are underrepresented in biomedical research, and/or have experience with capacity-building programs at institutions in states that have historically received low levels of NIH funding. There are two vacancy announcements: one for candidates with current or former federal employment status and one for candidates without such status . Both vacancies close on June 13, 2016. Please see the NIH HSA website for position requirements and application procedures. For more information about the position, contact David Wittenberg at 301-451-1828.